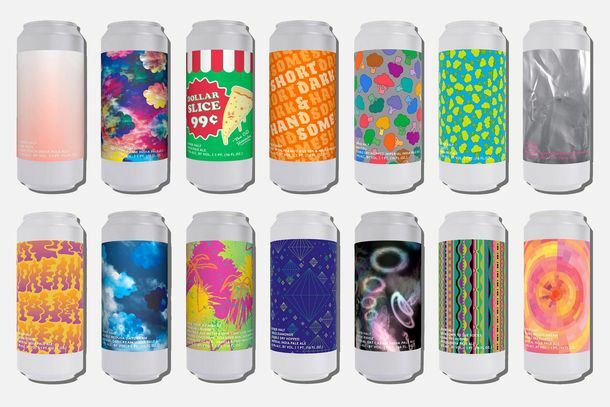 How One Brooklyn Brewery Blew Up by Embracing Beer’s Dank, Juicy FutureFive years in, Other Half shows no signs of slowing down. Coconut-Flavored Corona Is Here to Ruin Your SummerFinally answering the question: What happens if you mix beer with the worst flavor of LaCroix? Are the New Beers From Dunkin’ and IHOP Actually Any Good?Grub Street takes two marketing ploys for a test drive. 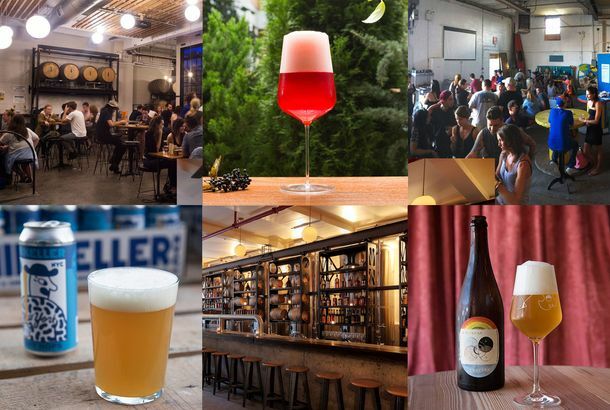 The Grub Street Guide to New York’s Booming Brewery SceneWhere to drink beer, where it’s being brewed. Fudgie the Whale Beer Is Real and Maybe There’s Still Hope for America After AllCarvel has teamed up with New York’s Captain Lawrence Brewing for a Father’s Day special. Someone Finally Invented Peeps-Flavored BeerThe brewery behind ramen beer has created a “marshmallow-y,” purple sour ale. Why Beer Geeks Are So Excited About the Massive New Brewery Inside Citi FieldMikkeller is revered by beer fans, and now there’s finally a brewery on the East Coast. Lyft Made a Beer That Comes With a Discounted Ride Home“Five-Star Lager” is some pretty shameless marketing. Tax Bill Will Make It Easier to Drown Your Sorrows Over the Tax BillIt didn’t get much attention, but the GOP tax bill gave a generous break to producers of beer, wine, and distilled spirits. Taco Bell Has Made Its Own BeerIt’s an amber ale that purportedly “enhances” its food’s flavor. 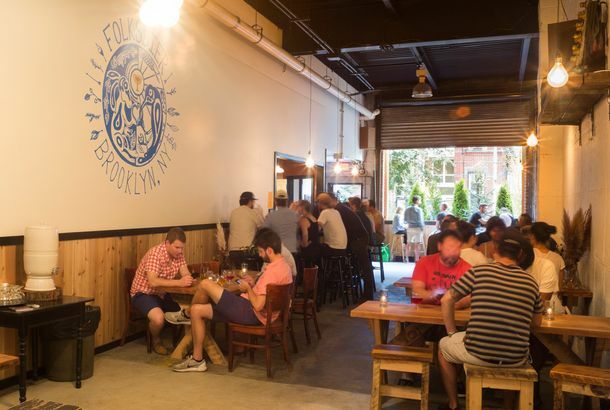 The Absolute Best Brewery Taprooms in New YorkFifteen places to kick back and quaff the freshest beer in town. A Major Brewing Company Just Bought San Francisco’s Anchor BrewingThe company helped to jump-start the craft-beer revival. 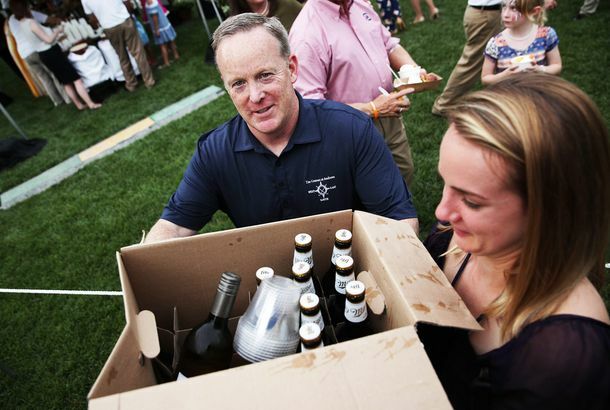 Sean Spicer Emerges to Serve Booze at the White House PicnicA quick break from the off-camera briefings. MillerCoors Executive Warns Trump’s Jobs Plan Will Raise the Price of Beer“Prices will go up” if Trump gets his tariff on cheaper imported aluminum. Famed Astrophysicist Neil deGrasse Tyson Finally Honored With His Own BeerAsheville Brewing Company calls it Bier LemonGrass Tyson. Brewery Goes God-Level and Unveils 1,000-Packs of BeerPerfect for your next barbecue. England’s Acclaimed Recycled-Bread Beer Is Coming to New York CityToast hopes to start production by July 4. A Brewery Wants to Open an Entire Hotel Dedicated to BeerObviously, there’s a beer tap in every room. World’s Best Brewery Offers Paid Leave for Employees With New PuppiesIt’s important to get those games of fetch in early on. Meet the 82-Year-Old Runner Famous for Chugging Beer Mid-RaceElvira Montes has been the oldest finisher of the Beer Mile World Championships three years running. Mexico City Brewery Fools Trump Supporters Into Funding a PartyBy way of some cleverly designed T-shirts. This Brewery Says It’s Invented Instant Craft-Beer PowderDenmark’s To Øl has nearly perfected the Folgers of microbrews. The Annoying Psychology of How Your Friends Influence the Beer You OrderThe small and dumb ways people signal their uniqueness. A Brewery Launched a Gadget That’s Basically Amazon Dash for BeerMolson Coors sees a bright future in letting people restock impulsively on Carling. This Device Will Turn Old Bottles Into Drinking CupsAs if you needed an excuse to drink more beer. Overturned Budweiser Truck Showers BQE in BeerBeer once again gets in the way of a productive morning. 11 Bottles of Booze Your Dad Will Love Call it a drinkable gift guide. A Brewery Plans to Deliver Beer by Bald EagleIt’s a Canadian brewery, but this is fully American. The Absolute Best Beer Bar in New YorkThe four places every hop head needs to visit immediately. The Absolute Best Beer Store in New YorkFour perfect shops to hit when you need outstanding, and sometimes obscure, bottles. Alcoholic Root Beer Is About to Become Twice As AlcoholicAs boozy as wine. Beer Truck Crashes Into Chip TruckNobody was hurt, and junk food spilled everywhere. World’s Coolest Company Hiring Interns to Travel the Globe and Drink BeerAnd it will toss in $12,000 for your troubles. Here’s the Anti-Trump Beer You’ve Been Waiting ForFinally, a cerveza for protesting the Donald. California Brewery Resorts to Making Beer From Recycled BathwaterIt’s trying to use NASA technology to brew an IPA that won’t exacerbate the ongoing drought.